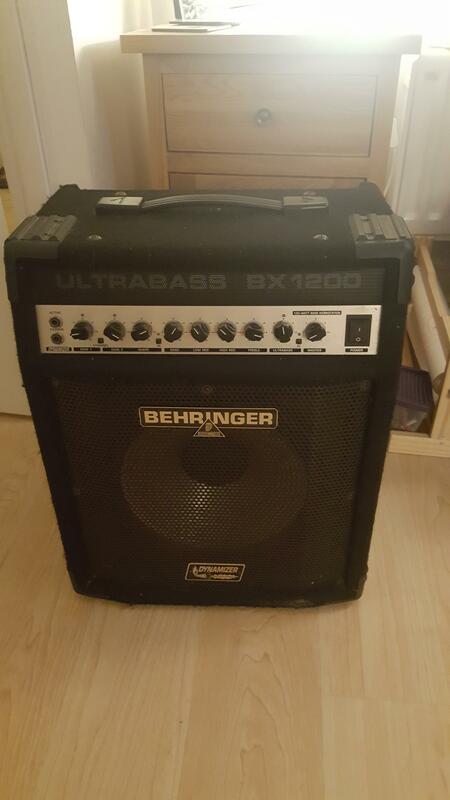 A friend emigrating offered me a bass amp for cheap - I decided it might be a fun thing to have seeing as I do own a bass. Why did not one tell me how much I was missing out on before!!?? I have no real idea of what I have but is is so much better than the guitar amps I've used for noodling about with in the past. A midrange cut frequency sweep control, if I remember rightly. These are good amps for the money. The shape control is the secret weapon on those amps. I've still got one of the original ultrabass heads, it has served very well considering it was £160, 15 or so years ago. Behringer’s description is usually that it’s a revolutionary filter that lets you change the shape of your sound. Useful. IIRC it’s a sort of cross between a parametric eq and a notch filter - anyway, whatever it is it seems to be similar to the one on the Hartke preamps and is bloody useful! Thanks guys, looks like I have some reading to do. Sounds like a preset EQ cut/boost to scoop out the midrange a bit. Saves wasting an onboard multi-band graphic EQ to achieve the same effect. The whole amp is pretty much a Hartke copy. Look at the speaker . They so some other ones with VU meters... I wonder what they're copies of? I always use a scooped sound - it fits around the guitars much better and leaves plenty of space for them in the mix, while also making the dancefloor shake... which is surely the point of bass!